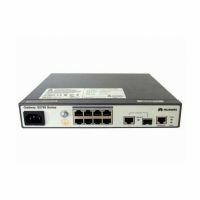 S2700-9TP-EI-DC Mainframe(8 10/100 BASE-T ports and 1 Combo GE(10/100/1000 BASE-T+100/1000 Base-X) ports and DC -48V). 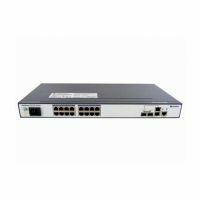 S2700-9TP-SI-AC Mainframe(8 10/100 BASE-T ports and 1 Combo GE(10/100/1000 BASE-T+100/1000 Base-X) ports and AC 110/220V). 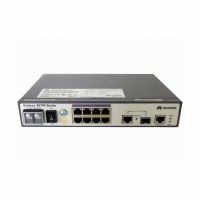 S2700-9TP-PWR-EI Mainframe(8 10/100 BASE-T ports and 1 Combo GE(10/100/1000 BASE-T+100/1000 Base-X) ports,PoE and AC 110/220V). S2700-18TP-EI-AC Mainframe(16 10/100 BASE-T ports and 2 Combo GE(10/100/1000 BASE-T+100/1000 Base-X) ports and AC 110/220V). S2700-18TP-SI-AC Mainframe(16 10/100 BASE-T ports and 2 Combo GE(10/100/1000 BASE-T+100/1000 Base-X) ports and AC 110/220V).